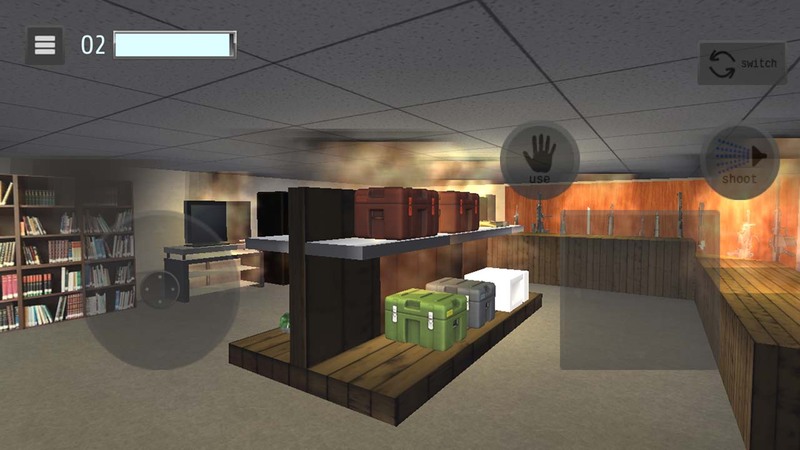 Firefighter VR+Touch is the sequel to Firefighter Simulator 2016/2017. The Firefighter has moved on to a new city and taken a job as an actual firefighter who puts out fires. But in a city rife with crime and corruption, with old friends returning and an arsonist on the loose, what path will they choose? Firefighter VR+Touch is, indeed, a VR game! Initially, I am targeting mobile platforms, with Daydream, Cardboard, and touch-based non-VR (hence the +Touch) mode out of the box. Support for SteamVR on PC will probably come later. It’s a huge technical advance over Firefighter Simulator 2016/2017 across the board, using the real Unity engine this time, but there have also been a lot of challenges and teething pains with Unity and VR. 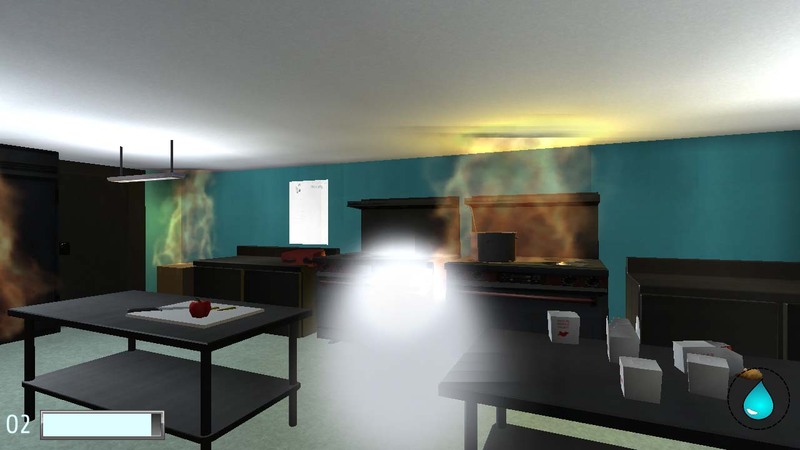 Gameplay-wise, Firefighter VR+Touch brings in some new elements while abandoning old ones. You can now set almost everything on fire, including other characters. There’s an oxygen mechanic instead of health, which drains constantly and drains faster in fires or while moving. On the other hand, the conversation system is gone, as are most of the combat mechanics. Overall, the game is more focused on using fire in various ways rather than being a hybrid FPS like the first game. 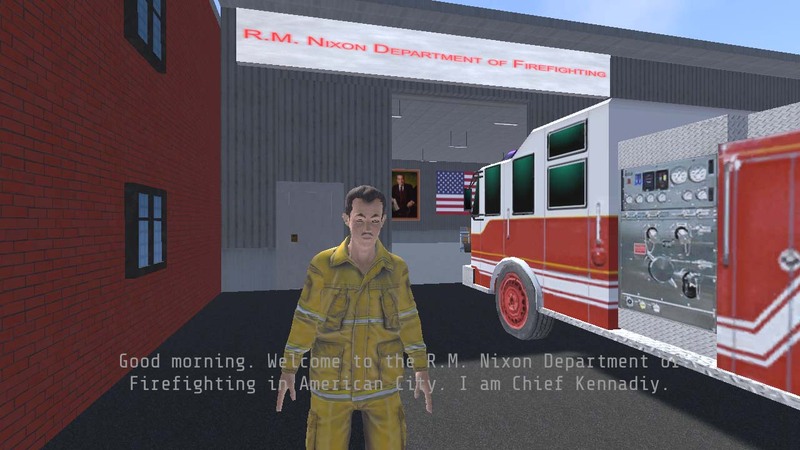 Originally, I was going to pass the game off as a bad firefighter simulation and then flip everything on the player’s head, much like the previous game. After some testing, I decided that wasn’t going to work very well and I’ve reworked it to lay all the cards on the table from the outset.